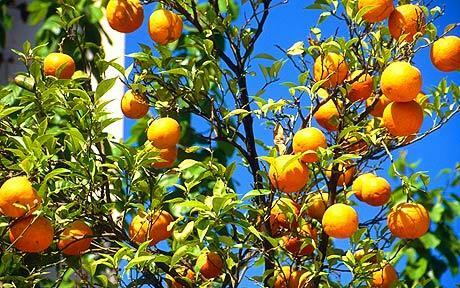 The lushness of an orange orchard under a turquoise Mediterranean sky. 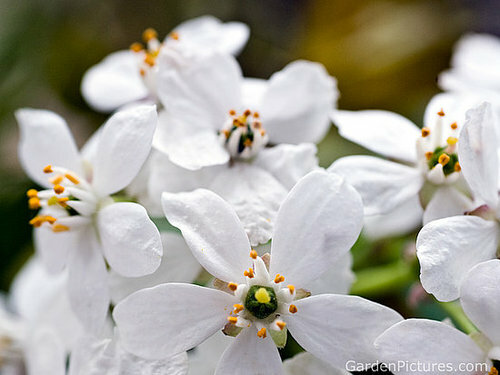 The juice of fruits lying heavy and ripe on the branches mixed with the heady, languid whiteness of their white blossoms. Orange in all its manifestations dances a duet with custardy ylang-ylang and vanilla, until… suddenly… the scenery changes and you’re in cool, grey Paris in a garden filled with irises. 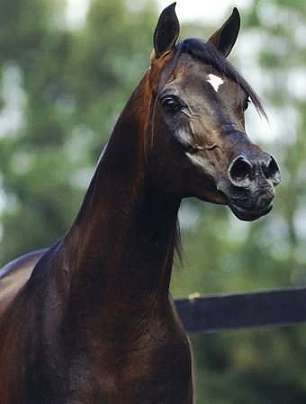 A Safanad horse. Source: straightegyptians.com. Base Note: Ambergris, Sandalwood, Vanilla. Safanad opens on my skin with an explosion of concentrated orange, followed by sweet, heady orange blossoms. The fruit is intense, as if the pulp of a hundred oranges had been reduced down to a few teaspoons. There is a syrupy sweetness to Safanad that is augmented by the orange blossoms which are heady, opulent, and potent. For all their lushness, they don’t feel indolic, and never have that almost excessive, blowsy, sometimes rotting feel that white flowers can occasionally have. Other notes soon appear. There is a subtle whiff of pears that are dewy, watery, fresh and green. It’s more like pear nectar, and it’s lovely, which makes it a shame that the note is so fleeting and overwhelmed by the orange-orange blossom duo. 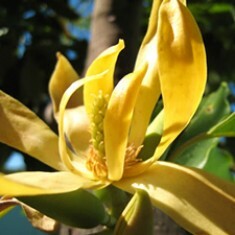 Much more noticeable is the ylang-ylang which is a powerful part of Safanad’s opening. It has a very custardy, almost banana-like aroma which is extremely rich, and supplemented by an equally custardy vanilla. Together, the pulpy orange, the lush florals, and the vanilla create a bouquet that is intensely feminine, sweet, and syrupy. The top bouquet is pretty, but significantly less interesting to me than the base. There are the faintest touches of something ambered, wet, and very musky lurking down there, but it never feels like actual ambergris. In fact, on my skin, Safanad never felt very ambered at all in any concrete, distinct way. Instead, there are suggestions of something abstract that merely has the feel of something golden, if that makes any sense. There is also something synthetic, noticeable primarily in the opening minutes of Safanad, a sort of buzzing around the florals that I can’t pinpoint. It was there on two of the four times that I’ve worn Safanad, but always when I applied much less of the fragrance. What is much more distinct and interesting is the unexpected, odd darkness in Safanad’s base. It smells resinous, smoky, almost like incense, and at times has a distinctly leathered feel. If there is “amber” resin in Safanad, to my nose it smells like Styrax with its slightly smoky, spicy, leathered undertones. It makes me wonder about the notes provided for Safanad, because there is definitely something dark lurking in its depths that doesn’t fit with what is listed. Unfortunately, the accord is subtle, extremely minor, and quite fleeting. It pops up about 15 minutes into Safanad’s development, and lasts only about 30 minutes on my skin. For the most part, Safanad’s opening is a simple, uncomplicated orange blossom floral with extreme sweetness. 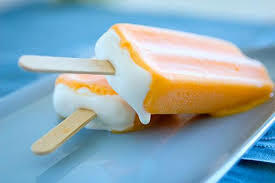 In my notes, I wrote a few times: “orange custard,” or “orange creamsicle with ylang-ylang.” Yes, from afar, I smelled like both for a good portion of Safanad’s first hour, and I have some mixed feelings on the subject. My skin tends to bring out and amplify basenotes, so I sprayed some Safanad on a friend who loves florals. Safanad was different on her skin: less vanillic and syrupy, and with more of a pure, almost fresh, non-indolic, gauzy orange blossom aroma than the richer, custardy ylang-ylang. She found it simple and incredibly sweet, but she didn’t mind it. Yet, when I asked this floral lover if she would ever want to wear it or buy Safanad for herself, she looked dubious. She also looked distinctly unenthused about the version of the fragrance that appeared on my skin, and commented on how different it smelled. As always, skin chemistry makes a difference. What shocked me is how quickly the perfume’s sillage dropped from an intense forcefulness to a skin scent — on both of us. With one big spray, Safanad turned into a skin scent on me after a mere 45 minutes! With two huge ones, it took 75 minutes. I first tried the fragrance at Jovoy in Paris, and was quite drawn by the orange blossoms, so I sprayed on quite a bit, but the same sillage problem reared its ugly head. My skin has longevity problems, not sillage ones, so the fragrance is clearly intended to be something soft, gauzy and translucent — no matter how much you apply. But 45 or 75 minutes is still too little! About 50 minutes in, Safanad’s bouquet start to change. First, the iris emerges, slowly growing stronger and diffusing the fragrance’s fruity sweetness. It’s a floral iris, not a carroty, dank, earthy, rooty one or even a highly powdered one. A more surprising change to me is that Safanad starts to take on a distinctly jasmine aroma. I know both ylang-ylang and orange blossom, but my skin is somehow emanating something that felt very much like jasmine (with all its own distinct, particular nuances) as well. Safanad’s base alters too, primarily with the vanilla which loses a lot of its custardy richness and turns more sheer. The hints of something dark, leathered, and smoky recede; the fragrance becomes less syrupy; and the fruity orange pulp lessens. At the same time, a slight creamy woodiness appears, though it never smells to me like actual “sandalwood,” and is a pretty abstract, nebulous thing as a whole. At the end of the second hour, Safanad is a smooth, gauzy orange blossom scent infused with jasmine-like notes, followed by iris and ylang-ylang. The whole thing sits above a base of a gauzy, thin vanilla that is flecked by something vaguely ambered, and musky. A subtle, wholly abstract, creamy woodiness lies even deeper below, but sometimes I think it’s merely a figment of my imagination. It’s honestly hard to detect all the nuances of Safanad beyond the florals and vanilla, in part because the perfume is like a breath or suggestion that clings to the skin like a translucent film. I have to put on a lot of it to really get at its essence in the first few hours because, on the surface or from a distance, Safanad really seems like nothing more than syrupy, fruited orange blossom with ylang-ylang custard. It is only at the start of the 4th hour (with a regular dose) that Safanad suddenly transforms. (If you apply a large amount of Safanad, it will take longer.) 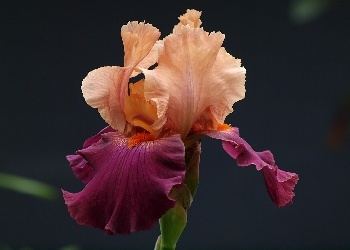 At that point, to my surprise, the iris suddenly takes over, increasingly dominating the now muted orange blossom. Eventually, Safanad is nothing more than a cool, powdery iris fragrance, lightly dusted with vanillic powder. It essentially smells like the inside of a suede handbag, with powdered vanilla. Safanad remains that way until it finally dies away. It lasted around 6.5 hours with a regular application, and a little over 7.25 hours with a really huge quantity. The sillage on my skin was weak after the first hour, and the perfume was incredibly hard to detect even with a lot of sprays after 5 hours. [It] opens on a crisp pear note before diving head first into the orange blossom which seems to arrive very rapidly on my skin. It is further supported with iris and ylang-ylang but this is a very complex orange blossom note. I’m not sure but I think this must be a particularly high quality version of this raw material because there seems more subtlety and depth to it than I normally experience in an orange blossom note. This ends with a smooth amber, sandalwood, and vanilla base. I’m torn on the issue of Safanad. One part of me thinks that Safanad is an elegant choice for anyone who loves discreet but really sweet, intensely fruity orange blossoms scents, especially with a side of vanilla. The other, more critical side of me struggles intensely with the fact that Parfums de Marly is charging $275 for a fruity-florals that isn’t very complicated, that is extremely unobtrusive and sheer, and that doesn’t substantially change in any way until its final blur as a powdery floral with vanilla. Safanad is well done, but it’s a largely conservative, classic, unoriginal take that isn’t very distinctive. Then again, the orange blossoms are lovely, as is the burst of photo-realistic, concentrated orange pulp at the start. Really and truly lovely. The part of me that adores both notes is happy, but the devil on my shoulder keeps tapping me, insisting that I smelled like an orange creamsicle for a good portion of the first hour, and that it became skin scent after 45 minutes unless I sprayed on a hell of a lot. The devil then points to Safanad’s price, and laughs his head off. I’m afraid the devil wins out in this argument. If Safanad were more unusual, twisted, perhaps with a little grit and more of that mysteriously smoky, almost leathered touch, then I would be much more enthusiastic as a whole. I would still take a look at the perfume’s price and my sillage/longevity numbers, and have criticism, but I wouldn’t be struggling to write a review about a wholly conventional fragrance. If Safanad were priced at $100-$130, I would gladly recommend it as a choice for women who love very sweet, white fruity-florals, and orange blossom in particular. It may not be distinctive or original, but it is an elegant, pretty, extremely feminine fragrance with a luxurious opening. At $275, with the problems that it has, I find it much harder to recommend with any enthusiasm. 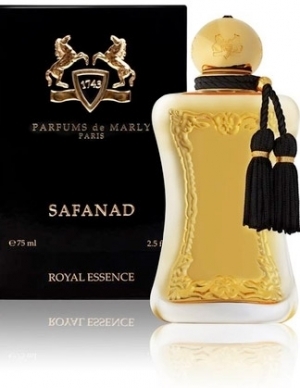 Cost & Availability: Safanad is an Eau de Parfum that only comes in a 2.5 oz/75 ml bottle which costs $275 or €159. Parfums de Marly has a website which is incredibly frustrating and not particularly user-friendly, no matter how pretty it may be. It also has no e-store, and Safanad is not even listed amongst its fragrances. In the U.S.: the perfume is available at OsswaldNYC which offers samples of the fragrance, if you call by phone. They offer samples of any 10 fragrances in 1 ml vials for $10 with free domestic shipping. I also found Safanad on sale for $220 at a site called Chifo Perfumes, but I have never heard of them so I don’t know how reliable they may be. Safanad is available at Parfumerie Nasreen (which also sells samples), and at The Fragrance Group. Outside the U.S.: I found Safanad on sale for $149 at Kuwait’s Universal Perfumes. At the normal price of €179, you can find Safanad at Premiere Avenue in France (which ships worldwide, I believe). The fragrance is also carried at Paris’ Jovoy, and Germany’s First in Fragrance, which also sells samples. In the UK, the line is supposedly exclusive to London’s Fortnum & Mason, but they only show 3 Parfums de Marly items on their website. Safanad is not one of them. In the Netherlands, Safanad is available at ParfuMaria and Parfumerie NL. In Denmark, it’s sold at La Schiller. There are a number of Russian vendors, one of which is Ry7. Parfums Marly has 3 stores in Dubai and the United Arab Emirates. For all other countries from Qatar to Hungary, you can use the Store Locator guide on the Parfums Marly page. Just go to the top right in the midst of the dark bar at the top of the page, and you will find the category written in somewhat spidery, white script. Samples: I obtained my sample of Safanad while browsing in Jovoy Paris. A number of the vendors listed above offers samples of the fragrance. However, Safanad is not offered on the usual decanting sites.